This page Science is part of the philosophy series. This page Science is part of the knowledge pages. Science (from Latin scientia, meaning "knowledge") is a systematic enterprise that builds and organizes knowledge in the form of testable explanations and predictions about the universe. In an older and closely related meaning, "science" also refers to a body of knowledge itself, of the type that can be rationally explained and reliably applied. 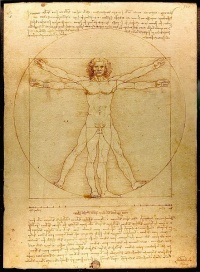 Since classical antiquity, science as a type of knowledge has been closely linked to philosophy. In the early modern period the words "science" and "philosophy" were sometimes used interchangeably. By the 17th century, natural philosophy (which is today called "natural science") was considered a separate branch of philosophy. However, "science" continued to be used in a broad sense denoting reliable knowledge about a topic, in the same way it is still used in modern terms such as library science or political science. In modern use, "science" more often refers to a way of pursuing knowledge, not only the knowledge itself. It is often treated as synonymous with 'natural and physical science', and thus restricted to those branches of study that relate to the phenomena of the material universe and their laws, sometimes with implied exclusion of pure mathematics. This is now the dominant sense in ordinary use. This narrower sense of "science" developed as scientists such as Johannes Kepler, Galileo Galilei and Isaac Newton began formulating laws of nature such as Newton's laws of motion. In this period it became more common to refer to natural philosophy as "natural science". Over the course of the 19th century, the word "science" became increasingly associated with the scientific method, a disciplined way to study the natural world, including physics, chemistry, geology and biology. It is in the 19th century also that the term scientist was created by the naturalist-theologian William Whewell to distinguish those who sought knowledge on nature from those who sought knowledge on other disciplines. The Oxford English Dictionary dates the origin of the word "scientist" to 1834. This sometimes left the study of human thought and society in a linguistic limbo, which was resolved by classifying these areas of academic study as social science. Similarly, several other major areas of disciplined study and knowledge exist today under the general rubric of "science", such as formal science and applied science. Science in a broad sense existed before the modern era, and in many historical civilizations, but modern science is so distinct in its approach and successful in its results that it now defines what science is in the strictest sense of the term. Much earlier than the modern era, another important turning point was the development of the classical natural philosophy in the ancient Greek-speaking world. Science in its original sense is a word for a type of knowledge (Latin scientia, Ancient Greek epistemē), rather than a specialized word for the pursuit of such knowledge. In particular it is one of the types of knowledge which people can communicate to each other and share. For example, knowledge about the working of natural things was gathered long before recorded history and led to the development of complex abstract thinking, as shown by the construction of complex calendars, techniques for making poisonous plants edible, and buildings such as the pyramids. However no consistent distinction was made between knowledge of such things which are true in every community, and other types of communal knowledge such as mythologies and legal systems. Before the invention or discovery of the concept of "nature" (Ancient Greek phusis), by the Pre-Socratic philosophers, the same words tend to be used to describe the natural "way" in which a plant grows, and the "way" in which, for example, one tribe worships a particular god. For this reason it is claimed these men were the first philosophers in the strict sense, and also the first people to clearly distinguish "nature" and "convention". Science was therefore distinguished as the knowledge of nature, and the things which are true for every community, and the name of the specialized pursuit of such knowledge was philosophy — the realm of the first philosopher-physicists. They were mainly speculators or theorists, particularly interested in astronomy. In contrast, trying to use knowledge of nature to imitate nature (artifice or technology, Greek technē) was seen by classical scientists as a more appropriate interest for lower class artisans. A major turning point in the history of early philosophical science was the controversial but successful attempt by Socrates to apply philosophy to the study of human things, including human nature, the nature of political communities, and human knowledge itself. He criticized the older type of study of physics as too purely speculative, and lacking in self-criticism. He was particularly concerned that some of the early physicists treated nature as if it could be assumed that it had no intelligent order, explaining things merely in terms of motion and matter. The study of human things had been the realm of mythology and tradition, and Socrates was executed. Aristotle later created a less controversial systematic programme of Socratic philosophy, which was teleological, and human-centred. He rejected many of the conclusions of earlier scientists. For example in his physics the sun goes around the earth, and many things have it as part of their nature that they are for humans. Each thing has a formal cause and final cause and a role in the rational cosmic order. Motion and change is described as the actualization of potentials already in things, according to what types of things they are. While the Socratics insisted that philosophy should be used to consider the practical question of the best way to live for a human being (a study Aristotle divided into ethics and political philosophy), they did not argue for any other types of applied science. 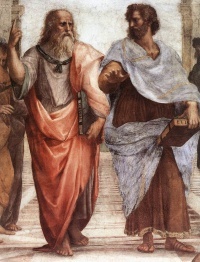 Aristotle maintained the sharp distinction between science and the practical knowledge of artisans, treating theoretical speculation as the highest type of human activity, practical thinking about good living as something less lofty, and the knowledge of artisans as something only suitable for the lower classes. In contrast to modern science, Aristotle's influential emphasis was upon the "theoretical" steps of deducing universal rules from raw data, and did not treat the gathering of experience and raw data as part of science itself. During late antiquity and the early Middle Ages, the Aristotelian approach to inquiries on natural phenomenon was used. Some ancient knowledge was lost, or in some cases kept in obscurity, during the fall of the Roman Empire and periodic political struggles. However, the general fields of science, or Natural Philosophy as it was called, and much of the general knowledge from the ancient world remained preserved though the works of the early encyclopedists like Isidore of Seville. During the early medieval period, Syrian Christians from Eastern Europe such as Nestorians and Monophysites were the ones that translated much of the important Greek science texts from Greek to Syriac and the later on they translated many of the works into Arabic and other languages under Islamic rule. This was a major line of transmission for the development of Islamic science which provided much of the activity during the early medieval period. In the later medieval period, Europeans recovered some ancient knowledge by translations of texts and they built their work upon the knowledge of Aristotle, Ptolemy, Euclid, and others works. In Europe, men like Roger Bacon learned Arabic and Hebrew and argued for more experimental science. By the late Middle Ages, a synthesis of Catholicism and Aristotelianism known as Scholasticism was flourishing in Western Europe, which had become a new geographic center of science. By the late Middle Ages, especially in Italy there was an influx of texts and scholars from the collapsing Byzantine empire. 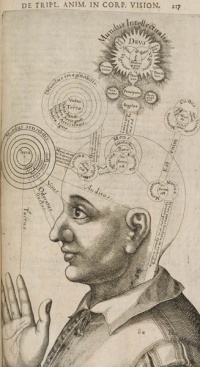 Copernicus formulated a heliocentric model of the solar system unlike the geocentric model of Ptolemy's Almagest. All aspects of scholasticism were criticized in the 15th and 16th centuries; one author who was notoriously persecuted was Galileo, who made innovative use of experiment and mathematics. However the persecution began after Pope Urban VIII blessed Galileo to write about the Copernican system. Galileo had used arguments from the Pope and put them in the voice of the simpleton in the work "Dialogue Concerning the Two Chief World Systems" which caused great offense to him. In Northern Europe, the new technology of the printing press was widely used to publish many arguments including some that disagreed with church dogma. René Descartes and Francis Bacon published philosophical arguments in favor of a new type of non-Aristotelian science. Descartes argued that mathematics could be used in order to study nature, as Galileo had done, and Bacon emphasized the importance of experiment over contemplation. Bacon questioned the Aristotelian concepts of formal cause and final cause, and promoted the idea that science should study the laws of "simple" natures, such as heat, rather than assuming that there is any specific nature, or "formal cause", of each complex type of thing. This new modern science began to see itself as describing "laws of nature". This updated approach to studies in nature was seen as mechanistic. Bacon also argued that science should aim for the first time at practical inventions for the improvement of all human life. In the 17th and 18th centuries, the project of modernity, as had been promoted by Bacon and Descartes, led to rapid scientific advance and the successful development of a new type of natural science, mathematical, methodically experimental, and deliberately innovative. Newton and Leibniz succeeded in developing a new physics, now referred to as Newtonian physics, which could be confirmed by experiment and explained in mathematics. Leibniz also incorporated terms from Aristotelian physics, but now being used in a new non-teleological way, for example "energy" and "potential". But in the style of Bacon, he assumed that different types of things all work according to the same general laws of nature, with no special formal or final causes for each type of thing. It is, during this period that the word "science" gradually became more commonly used to refer to the pursuit of a type of knowledge, and especially knowledge of nature — coming close in meaning to the old term "natural philosophy". Both John Herschel and William Whewell systematized methodology: the latter coined the term scientist. 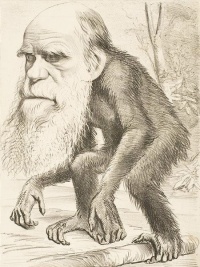 When Charles Darwin published On the Origin of Species he established descent with modification as the prevailing evolutionary explanation of biological complexity. His theory of natural selection provided a natural explanation of how species originated, but this only gained wide acceptance a century later. John Dalton developed the idea of atoms. The laws of Thermodynamics and the electromagnetic theory were also established in the 19th century, which raised new questions which could not easily be answered using Newton's framework. Einstein's Theory of Relativity and the development of quantum mechanics led to the replacement of Newtonian physics with a new physics which contains two parts, that describe different types of events in nature. The extensive use of scientific innovation during the wars of this century, led to the space race and widespread public appreciation of the importance of modern science. More recently it has been argued that the ultimate purpose of science is to make sense of human beings and our nature- for example in his book Consilience, EO Wilson said "The human condition is the most important frontier of the natural sciences." Jeremy Griffith supports this view. The belief that all observers share a common reality is known as realism. It can be contrasted with anti-realism, the belief that there is no valid concept of absolute truth such that things that are true for one observer are true for all observers. The most commonly defended form of anti-realism is idealism, the belief that the mind or consciousness is the most basic essence, and that each mind generates its own reality. In an idealistic world-view, what is true for one mind need not be true for other minds. There are different schools of thought in philosophy of science. The most popular position is empiricism, which claims that knowledge is created by a process involving observation and that scientific theories are the result of generalizations from such observations. Empiricism generally encompasses inductivism, a position that tries to explain the way general theories can be justified by the finite number of observations humans can make and the hence finite amount of empirical evidence available to confirm scientific theories. This is necessary because the number of predictions those theories make is infinite, which means that they cannot be known from the finite amount of evidence using deductive logic only. Many versions of empiricism exist, with the predominant ones being bayesianism and the hypothetico-deductive method. Empiricism has stood in contrast to rationalism, the position originally associated with Descartes, which holds that knowledge is created by the human intellect, not by observation. A significant 20th-century version of rationalism is critical rationalism, first defined by Austrian-British philosopher Karl Popper. Popper rejected the way that empiricism describes the connection between theory and observation. He claimed that theories are not generated by observation, but that observation is made in the light of theories and that the only way a theory can be affected by observation is when it comes in conflict with it. and induction by purely deductive notions. Popper further claimed that there is actually only one universal method, and that this method is not specific to science: The negative method of criticism, trial and error. Another approach, instrumentalism, colloquially termed "shut up and calculate", emphasizes the utility of theories as instruments for explaining and predicting phenomena. It claims that scientific theories are black boxes with only their input (initial conditions) and output (predictions) being relevant. Consequences, notions and logical structure of the theories are claimed to be something that should simply be ignored and that scientists shouldn't make a fuss about (see interpretations of quantum mechanics). Close to instrumentalism is Constructivist epistemology according to which the main task of science is constructing models that can be given input and will give you an output that will predict the output given by the reality under same conditions accurately and validly enough. Paul K Feyerabend advanced the idea of epistemological anarchism, which holds that there are no useful and exception-free methodological rules governing the progress of science or the growth of knowledge, and that the idea that science can or should operate according to universal and fixed rules is unrealistic, pernicious and detrimental to science itself. Feyerabend advocates treating science as an ideology alongside others such as religion, magic and mythology, and considers the dominance of science in society authoritarian and unjustified. He also contended (along with Imre Lakatos) that the demarcation problem of distinguishing science from pseudoscience on objective grounds is not possible and thus fatal to the notion of science running according to fixed, universal rules. Feyerabend also stated that science does not have evidence for its philosophical precepts, particularly the notion of Uniformity of Law and the Uniformity of Process across time and space. Finally, another approach often cited in debates of scientific skepticism against controversial movements like "scientific creationism", is methodological naturalism. Its main point is that a difference between natural and supernatural explanations should be made, and that science should be restricted methodologically to natural explanations. That the restriction is merely methodological (rather than ontological) means that science should not consider supernatural explanations itself, but should not claim them to be wrong either. Instead, supernatural explanations should be left a matter of personal belief outside the scope of science. Methodological naturalism maintains that proper science requires strict adherence to empirical study and independent verification as a process for properly developing and evaluating explanations for observable phenomena. The absence of these standards, arguments from authority, biased observational studies and other common fallacies are frequently cited by supporters of methodological naturalism as criteria for the dubious claims they criticize not to be true science. A scientific theory is empirical, and is always open to falsification if new evidence is presented. That is, no theory is ever considered strictly certain as science accepts the concept of fallibilism. The philosopher of science Karl Popper sharply distinguishes truth from certainty. He writes that scientific knowledge "consists in the search for truth", but it "is not the search for certainty ... All human knowledge is fallible and therefore uncertain." An area of study or speculation that masquerades as science in an attempt to claim a legitimacy that it would not otherwise be able to achieve is sometimes referred to as pseudoscience, fringe science, or "alternative science". Another term, junk science, is often used to describe scientific hypotheses or conclusions which, while perhaps legitimate in themselves, are believed to be used to support a position that is seen as not legitimately justified by the totality of evidence. Physicist Richard Feynman coined the term "cargo cult science" in reference to pursuits that have the formal trappings of science but lack "a principle of scientific thought that corresponds to a kind of utter honesty" that allows their results to be rigorously evaluated. Various types of commercial advertising, ranging from hype to fraud, may fall into these categories. There also can be an element of political or ideological bias on all sides of such debates. Sometimes, research may be characterized as "bad science", research that is well-intentioned but is seen as incorrect, obsolete, incomplete, or over-simplified expositions of scientific ideas. The term "scientific misconduct" refers to situations such as where researchers have intentionally misrepresented their published data or have purposely given credit for a discovery to the wrong person. Unless indicated otherwise, the text in this article is either based on Wikipedia article "Science" or another language Wikipedia page thereof used under the terms of the GNU Free Documentation License; or on original research by Jahsonic and friends. See Art and Popular Culture's copyright notice. This page was last modified 16:38, 28 August 2017. This page has been accessed 21,229 times.